Slow roasting allows us to maintain the quality, flavor and integrity of our 4 pound jug of Roasted & Salted Pistachios. 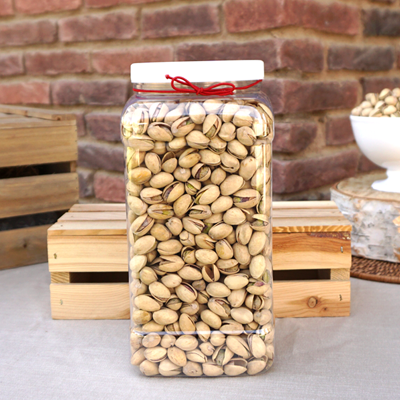 For over 20 years, Yurosek Farms has been growing and roasting the finest, premium-quality nuts and gifts. Terrific Pistachios and finally an acceptable shipping cost! Unbelievably fast and courteous service. Delicious and fresh pistachios. We've your product better than any we've tried, and ordering is delivery is easy and prompt.